Michele Bachmann and Patty Wetterling raised and spent a combined $4.6 million on their campaigns. The national Republican and Democratic parties also poured a lot of money into the race for the open congressional seat. The contest played out on Twin Cities television stations through a barrage of largely negative ads. 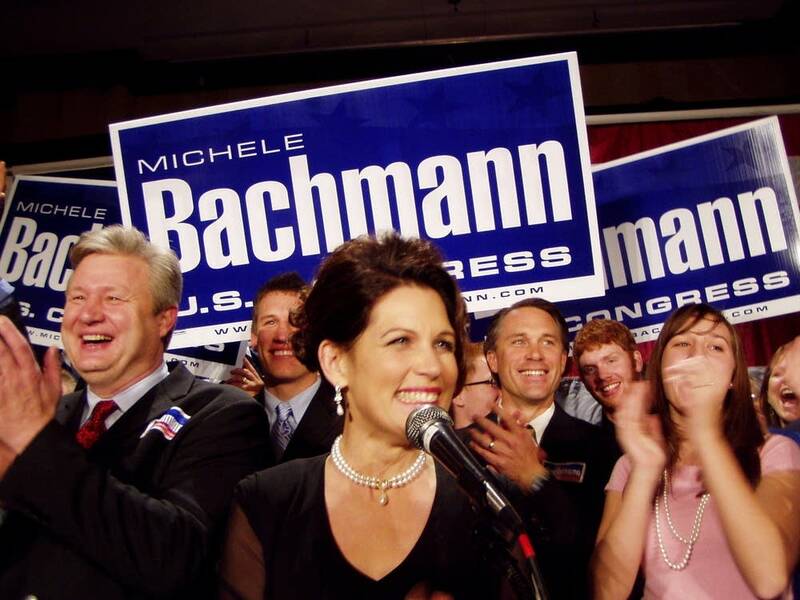 In her victory speech, Bachmann marked the end of a long, grueling competition. "Now is the time when we're going to lay down our battle gear. Isn't it wonderful? Let's lay down the battle gear. And we're going to move together now. We're going to come together and move Minnesota in the right direction," she said. The direction Bachmann has consistently moved toward is on the conservative side of both fiscal and social issues. She's equally passionate about reducing government spending and defining marriage as between one man and one woman. "Can anyone say 'let's cut taxes?' Let's cut taxes. Because we want to make sure that Minnesota businesses have the chance to continue growing and boom our economy. We also want to continue to protect the marvelous family values we've come to expect here in Minnesota, life, marriage and family life," she said. 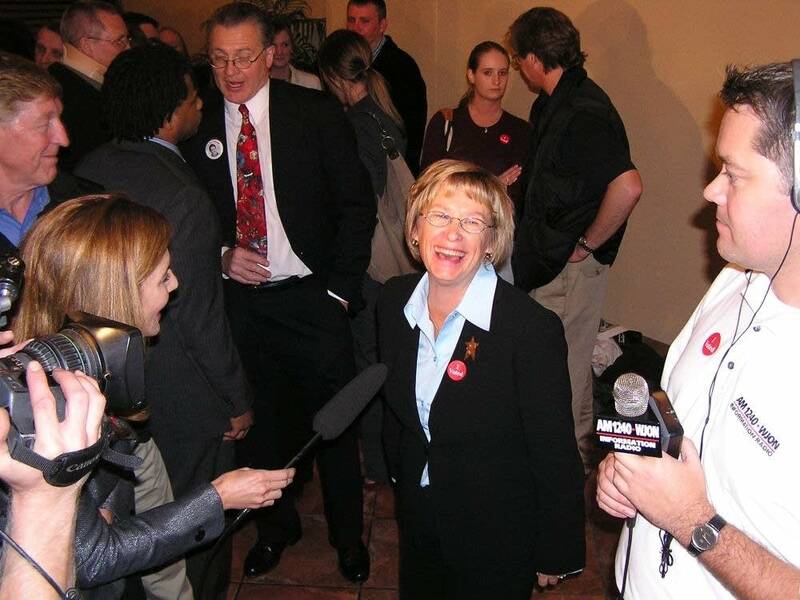 Sixth District voters handed Patty Wetterling her second defeat. Two years ago, Wetterling ran against incumbent Congressman Mark Kennedy and lost by eight percentage points. Despite her high name recognition and reputation as a child safety advocate, Wetterling couldn't match Bachmann's level of support in the Republican-leaning district. Wetterling thanked her supporters in St. Cloud and described the campaign a heart-warming journey. "I want to assure all of you that we have done some good," Wetterling said. "We've talked to thousands of fellow Minnesotans and shared our vision, a vision that we hold in our hearts about pulling this nation forward. And people listened. We have done some good. This is not the outcome that we wanted, but the campaign as worth it because of the friends that I've met, the old friends who joined this message of hope and the change that we've delivered." I'm not going away. I think that I've learned from this experience more than I have from anything else I've ever done. Another factor working against Wetterling was a third candidate in the mix. John Binkowski of the Independence Party captured about 8 percent of the 6th District vote. Binkowski painted himself as more fiscally conservative than Wetterling, but they shared similar positions on many social issues. It was Binkowski's first campaign, but probably not his last. "I'm not going away," he said. "I think that I've learned from this experience more than I have from anything else I've ever done. And to walk away after listening to what people have told men and had to say about my candidacy would be pretty foolish. And so I'll take what I've gleaned from this and come back again. I'm not sure what race." Michele Bachmann's win of the seat vacated by Mark Kennedy was one of the few congressional bright spots for Republicans, who lost more than two dozen seats to Democrats as well as control of the House of Representatives.